Updated 3/25/2013 Cut 83B. 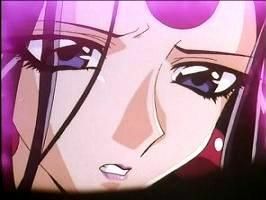 Now Alcyone lowers her head a little, gathering her courage. Notice how this rough animation sketch by animation director Ishida, despite its simplicity, captures much more of the horror of this moment than the somewhat more elaborate sketch by the layout artist (thumbnail). 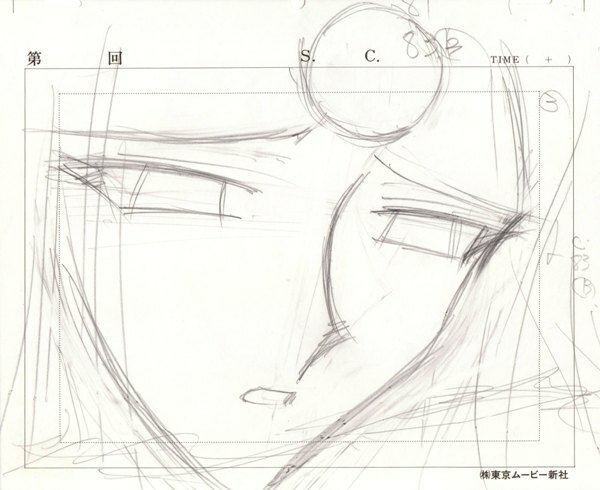 Aesthetics of Anime is lucky enough to have the A12 cel from this cut and has recently obtained a slightly later one that closely matches the expression on this rough.